Hi, I thought it was really time to update this profile as I have now been in WA since 2012. I am still mostly (!) retired (for the fifth time). We are still living in Cyprus and are still enjoying it. In my career in the corporate world I have been fortunate and priveliged enough to live in 15 different countries and to have worked in many more. My background is Project Management and Banking Systems and Operations, coaching and mentoring. I really enjoy helping people so if I can help you at any time just let me know. This WA experience has been great throughout my whole time here and I cannot recommend it enough. I am still continuing to build my business going forward - note the positive approach, the only real way forward!! I also recently started to produce on-line training in my area of Project Management - well some parts of this very broad area anyway, and am really enjoying doing this. Hopefully as I get better at this I will be able to contribute training to the community here. Building a business even with WA training needs hard work on your part to be successful but the buzz when you actually make it work is phenomenal, so go for it!! Hi Hudson and thank you for the follow - also following you back. Reading your profile, it would appear that you have travelled a lot. Any particular place that you would like to visit &/or live the experience again? Thank you and yes we have been blessed with a lot of travel and living in many countries which has been a wonderful experience. We particularly enjoyed our time in Hong Kong, Singapore and especially our six years in Australia. Best wishes for your WA journey. Hello Philip And Welcome To Wealthy Affiliate. Since you joined all those years ago you will no doubt have come to the conclusion that internet marketing can be a steep learning curve and there is always something new to learn. Thanks Robert, that’s really great. I will look into your blogs and if I have any questions will come back to you. Am looking to try and open up a new niche so this could well be an opportune moment. No probs Philip and if/when you read my blogs make sure you choose the ones that will help you in conjunction with whatever training you are currently taking. Hi there, I have had to do this on more than one occasion over the years. Good strategy, hope if goes well. If you need any help let me know please. Innervision International (Inc.) represents a new and improved global communications and multimedia system for marketing the world. We are a Web4.0 Fourth Dimensional Ai modular suite of interactive software/firmware/hardware/language systems that will replace the way everyone communicates and does business across all platforms, worldwide. Innervision is a combination of an all-in-one suite of business marketing tools and global consumer (IoS) Internet of Software portal that integrates all computer programs on one screen. The world is moving toward IoT (an internet of things), with all devices talking to each other under a head-end brain. Our portal, which is a new browser that has been redefined and re-purposed under the acronym DODSNET, consolidates all software programs that are available to a user from our portal. Even without prior knowledge, users/consumers will gravitate to and automatically enter into our new platform, regardless of the device used to access the internet. Future hardware products designed to utilize the internet by other companies will automatically integrate with us because we are Direct Online Delivery Systems. Following the K.I.S.S principle, we make it simple and normal for you to take back control of your computer and your privacy. Our system returns your computer to being an asset that works for your benefit instead of allowing the internet to devour and manipulate your life. Are we going to build new computers that will defunct Microsoft and Apple? Read on. In a two-step move, our Portal will change the way we use our existing computers and their associated Programs, such as Microsoft Office Suite (Word, Excel, PowerPoint, Outlook, Explorer). Let us first give you a glimpse of FutureNet: Does anyone recall the old fashioned IBM Selectric typewriter, which was lauded as a miracle of speed at the time? Although there have been great strides in technology since the advent of that Selectric, today’s computers are not making our lives better, as their manufacturers claim to do. Instead, for many of us, they are occupying too much of our lives, and we have become subservient to a machine. Likewise, the Internet has become faster, yet we have to learn how to use all kinds of software to keep our computers running. A computer is the only supposed "smart device" which becomes outdated the day you walk out of the store and power it up. What happens? Your computer now tells you that you need updates. That is the start of your clean, free from pollution new machine going downhill. The more you use it, the slower it becomes. You have to invest more time and money to maintain it and to maintain control of your important documents, business, and privacy. Does your new Maserati require an update the moment you drive it off the showroom floor? Does your DVD player need upgrades in order to keep it playing a movie? What about your Dishwasher or Toaster? Surely, with time improvements are made in the engineering of these items, but 99% of all tools, devices, vehicles, and even our furniture – serve their purpose on an ongoing basis without requiring repairs or upgrades. You don’t buy a new couch until years later after it has served its purpose for many years. It's not necessary for you to have to pay and pay to keep the couch in working order so you can to sit on it. The only ones laughing all the way to their banks are Microsoft, Apple, and associated software companies. They claim their computers are "smart", but in fact, the cost of hardware & firmware has gone down. So they have moved to licensing their software suites Now you must pay for APPS by the year. You have to continually pay for the programs that your computer demands that it must have in order for it to work. Years ago a computer might cost $2500, but today the cost is much lower. So what changed? In the alarm industry, ADT & GE came up with Dealer Programs and their Zero Down, $29.99 PER MONTH (for life)programs. Recurring Monthly Revenue is what it is all about. Today the average basic home alarm can be installed for FREE, but they tie you to a three to seven year monthly cost of $49.99. Banks buy RMR (recurring monthly revenue). And the CEOs of the computer companies have caught onto the same tactics. Our system is going to reverse things by making computers better, without requiring updates or APPS. They will work forever as a stand alone. But even much better and with lightning speed as a terminal node on DODSNET. BUT we’re not stupid. We will give consumers their money’s worth, but we also like RMR! DODSNET Portal will complement our better terminal nodes using our Cloud Software that we will provide to the world. This will revolutionize the future of connecting us globally, always being up to date, never having to “upgrade” software-- even your antivirus etc. It will keep our lives and use of a computer simple, while protecting our historical content --both on Cloud and by local 2-10Tb – SSD-- removable drive. You will not need all those other programs, such as antivirus and antimalware. Once you power up our Modern Tnode, you open up all software and access to the world. And yes, you can work offline, but this will be addressed at a later time. Although our basic overview presentation is lengthy, it is crucial for those who will be determining our value for funding to understand the unprecedented value of Innervision Worldwide. So can we give Apple/Microsoft a run for their money? YOU BET! Now Back to the future-present day: The two-step, what can we do right now until we change the internet/computer world? How can we create jobs, market and sell? How do we use the existing internet to our advantage? By current Dodsnet launched: “Once you click-ya gotta stick”. Our Portal is THE only button you launch, or you can set your PC to launch us at boot. All programs are available from inside our portal on your screen, thus eliminating the Windows 10 menu. D-Net is also your browser, and using our Ai Menuing, you don’t need to leave, minimize, or close out any program in order to use another one. You are working concurrently between programs without leaving or closing them; true multitasking in all simplicity. It would take pages to itemize and explain how it works, all the features and benefits, and why we are so confident that we will monopolize and defunct the browser and software wars. All of our email is encrypted; it cannot even be read by NSA if they capture your mail. When buy something on the internet, you normally have to supply your email address. In addition, anything you do on the web requires confirmation and giving up your identity. NOT WITH US. How we do it is a trade secret, but we eliminate spam, spoofing and inbox clutter. To enumerate all its features would be too lengthy for this document. Suffice it to say that while ours is not traditional email, it works like and with email, and your address looks like an email address. This is just a few of the benefits and appeal that will drive users to migrate to Dodsnet like rats fleeing a sinking ship. We will dominate all supposedly free Webmail (Gmail, Yahoo, Hotmail etc) even the likes of Proton, Hushmail, et al. All features of DODSNET (not enumerated here) will be free for 3 months. Then a window will let the user know that they can continue on a paid basis. If they elect not to continue using DODSNET, no data of any kind is lost. D-Net will continue to function as a browser (for our reasons). However, the simplicity and convenience of the add-on benefits are monthly paid options. These include encrypted cloud storage and automatic backup that does not require the user to know how to use OneDrive, Dropbox,or Google Drive. WE ARE GREEN! PETER: SINCE THIS IS AN IMPORTANT PART OF WHAT THEY ARE LOOKING FOR, DO YOU WANT TO INCLUDE SOME EXAMPLES OF HOW WE ARE GREEN? LIKE WE'RE ALREADY DOING IT? THESE ARE JUST SOME IDEAS FROM YOUR TEXT. WANNA ADD ANYTHING TO IT? SUGGEST TYPING THIS WHOLE SECTION IN GREEN, MAYBE IN ITALICS? MAYBE BULLETS? REFRAINING FROM USING ANY PLASTICS IN ANY OF OUR PACKAGING, UTILIZING ONLINE MAIL SERVICES WHENEVER POSSIBLE AND CONVERTING ALL BUSINESS FILES FROM PAPER TO DIGITAL TO DECREASE THE NUMBER OF TREES LOST TO PAPER MILLS EACH YEAR, AND INVENTING OTHER INNOVATIVE TECHNOLOGIES. PROVIDING ONLINE SERVICES THAT ARE FREE FROM SPYING, PROTECTING CONSUMER IDENTITY AND PREVENTING CONSUMER IDENTITY THEFT FOR RESALE, PROFILING, AND SPAMMING, AND PROVIDING EMAIL THAT IS FREE FROM VIRUS, TROJANS, SPAM, SPOOFING, AND UNWANTED ADVERTISEMENTS CLUTTERING INBOXES. Our Social Network will replace Facebook which is currently under the scrutinizing eyes of Congress for selling users' identity and profiles. Unlike all social networks which require users to spend 80% of their lives always friending and writing posts, we use a totally different secret approach. Our users won’t have to live on the net posting all day and night. PROVIDING JOBS, TRAINING, UNBIASED NEWS MEDIA, AND ENCOURAGING INTERNATIONAL COMMERCE. Our Classifieds will replace CraigsList and will feature Video ClassyFieds format for those who have a SmartPhone/Tablet or PC to create/edit/post video infomercials with ad rates based on run-time (30/60 sec, and longer). This will enable them to sell products, services, real estate, provide jobs, etc. In our interactive system, someone who views an ad will be in instant/real-time two-way video contact with the advertiser/sales rep and make an impulse buy. Employers will be able to talk to/screen job applicants live or via pre-taped Ai-robotic interview. And applicants can peruse the ads to determine which jobs they want to apply for as well. Marketing: We are the upgraded Groupon with our REWARDS RADIO & TV Network which also replaces and combines the Television Home Shopping Networks, the best of Coupon Groupon based; The Price is Right, Let’s Make a Deal, Trivia, Lottery, Cash & Products Reward Winners using Viral LiveClick Players. [ liveclick Proprietary - BETA run for 7 years ]. ZipEmalls is our answer to nationwide jobs/careers creation. It is the affordable and best solution for 99 percent of all businesses to survive, compete with the megabusinesses , such as Walmart and Amazon, and to make sales. It also provides the best consumer/shopper tool for locating the lowest prices for the highest quality products and services within a 15 mile radius of where they live, travel to work, or take their kids to school. Do not confuse this with the various home-advisor types, most any of which demand that you sit on your computer, perform web searches and we know who controls the search results. There are only so many hours in a day and humans are becoming slaves to their smart devices. Just like the fast food industry, which we thought was a great idea has turned into hurry up and wait, but has made us addicted to wasting precious time away from family, eating garbage food products, and turning adults and our children into obese unhealthy, and unhappy humans and we don’t seem to know why. TropicWaveMultimedia is the new global interactive ipTV Network where you can watch your favorite movies, get all the news and weather, without having a car or lawyer ad in your face every eight minutes. You watch our Network on your large screen TV, you have different Channels just like regular TV, but you don’t have to pay a cable TV rate, and you aren’t bombarded with ads. Just as TV went digital some years ago, everything is moving to the internet, but it is still controlled by the big guys. We’re going to change all that. And unlike regular TV, you can make a purchase through your TV with your clicker without interrupting a live or pre-recorded show or movie. Much of our programming shows will be positive content, reality based, and interactive. We won’t be covering crime, someone shooting up people, who is bombing what nation, what the President is tweeting or a distasteful view of a crumbling, bankrupt America. Instead of politicians talking as they spew lies, we will take action in many ways to revitalize our America and well, the world. If we, the people, cannot fix our problems of pollution and destroying the food supplies of our Planet Earth, the same thing will happen to any other planet NASA and the government thinks can support Human and Wildlife. How many hundreds of years will it take to attempt to artificially prepare a planet which does not have the oxygen, water, and food supply we need to live?. We have THE most natural environment our Human Species MUST HAVE, as well as all the foods we can grow to support all Species on this planet – yet we are destroying it and we as a global community are facing extinction “by our own doing”. How do you spell INSANITY? Our TV Network will support positive programming content which includes Educational Content, our Children’s Edutainment Network, Remote Classrooms environment where students of various US States & Nations can be in attendance at the same level. WOW. We will purchase Land and create a Model for Sustainable Intentional Colonies which will benefit us on this planet and yet if we have to vacate Planet Earth one day – will be a model that can be used to colonize other planets. SIC will be an interactive live daily TV Broadcast, with episodes available for On-Demand play. Instead of destroying our Forests for wood to build more homes by destroying more land where we really need to be growing more foods and livestock, it is past due time to look at the Tiny Homes concept but something more practical, not mere Sheds on Wheels but a smaller footprint where each home has some land to have a small garden, instead of lots of space we collect “things we buy” and we become hoarders living in an open air prison called our Home. Many other programming will also include the founding of America, How the West was founded under content from The Western Heritage Network. TWM alone would take many pages to convey the value and massive income it will produce. We are also the only Live-Interactive, In-Home Digital Signage Viral Cross-Promo Platform. Each of the above represents different Business Income Projects, not just software. We represent the best of what America started out to be, old school American values fired up with tomorrow’s high tech Digital Ai Technology, and that, my friends, is what we offer the world. The Founder and Visionary some might call him an Alien, and that may not be too far from being accurate, as he was befriended by Martin Caidin (CyBorg) when he was the contractor for Patrick AFB Space & Missile Systems/SAMSO. 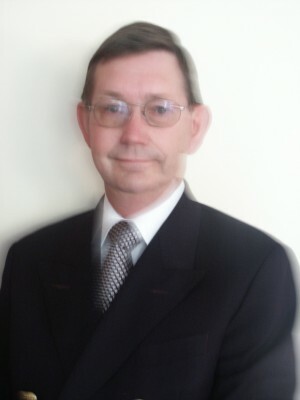 He is a former supplier outfitter and engineer of surveillance “products and systems” to CIA and other Intelligence agencies, worked with some of the greatest in Security and Counterintelligence, provided long range CCTV systems for the DEA & FBI over POTS lines “back-in-the-day” when only 9600 Baud Modems were available. As a result of working large Industrial & Military/Government projects, he is 15 years ahead of most Technology and Products being unveiled into the Civilian Marketplace.  Design/Engineer Central Stations, Guard Kiosks and Comm.Centers Offsite Admin “Who Is Watching The Watcher” – Deadman Circuits. Fail Safe & Fail Secure systems.  Former Spec-OP, head of Rapid Deployment & Extraction Team. Held Training Classes at South FL's famous (Miami Vice Bad Boys) Sheriff Nick Navarro Organized Crime Division (OCD) in Forward Intelligence Gathering Systems (FIGS), some of those OPS appeared on Geraldo Rivera TV series "Sons of Scarface".  Built the first ipTV-Radio Network categorized as a 148C-UTILTY BROADCASTING COMPANY operating in a true Terrestrial Format.  Successfully beta tested many of the software modules outlined in this document which he developed and which resulted in making sales of unknown products and services Nationally & Internationally – in other words, taking an unknown new product not sold in stores and was able to create demand and make sales into the thousands. His viral Players gleaned listeners from Alaska to Netherlands, California to Israel, and Germany to Toronto – but was based out of Florida. The geographical-physical location of a Retailer, Product, or Service was targeted to LOCAL consumers in THEIR Zip Code via Net-RADIO & Net-TV at 1080p.& 720. This new startup is not merely a new and better Browser; it is an entire suite of Software, Marketing & Business Services and Jobs Creation vehicles on a better Internet platform reclaiming the internet for the betterment of mankind and the planet. We will be based close to Orlando FL within proximity to Hotels and OIA airport for Artists / Movie Stars accessibility. It is also close to Full Sail where we can glean graduates and interns “at the right price”. The founder’s Nephew is the head of IT, UF-Gainesville. The founder (CEO) also has friendlys in various places, Coders in France, India, Israel, was offered a high position to move to Israel where they lead in Ai. His cousin is a Barrister, sits on the board of various Banks in St.Kitts/Nevis. US-dual Citizen. Instart Logic is a CDN provider founded in 2010, an American multinational computer technology corporation, headquartered in Palo Alto, California. The company is known for its $100 million contract buyout campaign targeted at Akamai customers. Instart portfolio include; Quora, Washington Post, and Kongregate. The company specializes primarily in developing and marketing a Digital Experience Cloud using Ai that improves web and mobile application performance, consumer experience and security. These services include Advertising Acceleration, which improves digital advertising viewability and vCPM by speeding the delivery of digital ads, and advertising recovery capabilities that encrypt application content together with digital advertisements, so that ad blocking software cannot filter or block the ads, thus restoring advertising impressions and revenue. As one can see, they are a perfect fit to our Ai marketing. Commentary from one of my insiders: Headquartered Palo Alto. Probably attracted some very good personnel from Akamai. They have good presence especially in Russia, South Africa and India (BRICS connection). Make no mistake, the greatest asset for any of these CDNs is their personnel (hard and expensive to acquire) and at Instart you probably will find a bunch of “try harders” who are dedicated to “doing it better”. Innervision Estimated Revenue – 5 year projection: $37,188,340,825 recurring/growing. Remember Excite? Formed in 1994 as Architext and relaunched as Excite the next year, it was meant to be the search engine to end all search engines. With funding from some of Silicon Valley's top investors, the company went on to enjoy a highflying initial public offering after hiring a new CEO, George Bell, in 1996. Back then, there was nothing that dot-com stock couldn't buy, and Excite, a company worth $35 billion, went on an acquisition spree with its riches. In addition to many smaller deals, it paid $425 million for iMall and a whopping $780 million for online greeting-card company Blue Mountain Arts. But when two young Stanford University students came knocking, looking for someone to buy their nascent search engine so they could return to their studies, Bell would have none of it. In 1999, Google (GOOG) founders Larry Page and Sergey Brin offered Excite their business for $1 million. Bell deemed it too high, and a second offer of $750,000 was also roundly rejected. Google is a $180 billion company today. And Excite? In the fall of 2000, Bell resigned as the company's CEO. By the time the third quarter of 2001 rolled around, Excite's stock price had fallen to $1 a share. A 5-and-a-half-foot Texas business tycoon prone to folksy proverbs, Ross Perot, above left, is known for his quirky charisma. But long before he inspired comedic impersonators during his 1992 White House run, Perot made what he calls one of his biggest business mistakes ever. Perot invited a gawky kid named Bill Gates, above right, into his office to discuss a deal in 1979. Negotiations broke down, and the two men remember the story differently. Perot recalls Gates' asking price as somewhere between $40 million and $60 million, which Perot found too high. When asked about the events, however, Gates says he put Microsoft on the block for $6 million to $15 million. In any case, neither party attempted to counter, and no agreement was reached. The Beatles have "no future in show business." Such was the verdict of a Decca Studios manager, who in 1962 rejected the young band after a studio audition in London. Decca's executives made the same mistake with other future music stars, including The Yardbirds and Manfred Mann, who went on to sign with other labels. But no single rejection in musical history compares with Decca's colossal miscalculation on The Beatles. Decca's misstep became a terrific gain for rival label EMI, where producer George Martin knew to sign The Beatles as soon as he heard the hour-long tryout tapes. The rest is a rich and storied history. In 1964, The Wall Street Journal estimated that The Beatles would sell $50 million in records in the U.S. alone. By 1971, by which time The Beatles had broken up, the former band mates had acquired a fortune of more than $22 million, a staggering sum then but only a tiny fraction of what they would ultimately be worth. Within 30 days, Groupon does an IPO for $30 BILLION. Neither really have any unique "intellectual property" I DO! Please note: A simple NDA does not protect my intellectual property so please do not ask for such information at this point. In year 2007 an entity was willing to pay $300 Million for White Label for their Business to use my Codec for HD full screen Browser-less video. That offer was made at a CEO-SPACE event WESTIN LAX (Hotel, California). Hope all your emergencies have been taken care of …. BJ emailed me the below. Please check it out and get back to ME by e mail or phone. I am on my cell 321 725 4789. 1. Provide web technology resource people to work with your new member to develop a showcase live demonstration of on line IBI videos, by the class date. 2. We will together, develop the "set up" and the demonstration for IBI videos on line so that we can feature the company and its owner to the entire class, on the three Super Teaching screens, live during class flooding your new member with help, investors and business opportunity. 3. We will also if he wishes take the live streaming feed from IBI of the entire class and use his new technology to stream the class and feature ads at each break "brought to you by" his company and web site so all the world wide audience watching can also plug into his support. As you know we can only do this level of feature in the most rare cases. We would enter into an agreement that we would exchange the feature value to him, as a benefit for his granting us "show case demo" "rights" to display his technology to the entire IBI world wide membership and costly IBI brand marketing ( 100,000's of our web click user CEO's ). He receives the value of a critical path DEMONSTRATION brand partnership. We receive the value of helping him accelerate results as we show case his technology immediately and with critical impact for his future. If he enrolls and agrees to benefit his project by applying his technology in a grant to IBI use ( no resale or use other than IBI itself ) I would also bring in a substantial number of players from Hollywood for him during the December class. In the end his technology will be so large he will have trouble RUNNING the company and its ramp up without IBI. The fit is perfect. We will help him maintain control and deliver the velocity of business with the right contracts ( licensing ) that protect him all the way. I know he will benefit from show casing his technology using IBI as a fronting endorsing "brand". I am willing following his enrollment to invest in diverting our internal experts to work with him 'right now" to begin the show case - in October so he has benefits even before class and by the time we feature the show case on the large screen and in world wide broadcast, his brand will be famous and Global over night. Image collage below Redacted for Security reasons. Thanks Hudson! Always Keep Positive! Thanks for the follow Phillip and I will do the same. Looking forward to hearing from you soon. Thank you for the follow Phillip. All the best to you. God bless. Thanks for following me back. Have a great day! Thanks for following me Hudson. Good evening to you Philip, my name is Ken and I welcome you to WA and thank you for the follow. I'm following you back. I congratulate you on your accomplishments and wish you much success and prosperity in building your online empire. I'll be retiring in a few years and can only hope the ending of my career is as worthwhile as yours has been for you.I look forward to working with you and invite you to join in on our block party every Friday evening when Jay gives us all his webinar. Hello Hudson. Thank you for adding me to your network. What an adventurous life you have lived. Hi, and nice to meet you. Thank you for the follow. I will, of course, follow you back. Best wishes for you and your success! Thanks for following me and I am following back. Good luck on your journey. Hello Philip,♫Welcome! Nice to meet you ツ I wish you a lot of learning pleasure and fun on WA. Thank you for following me. Hi, Hudson, nice to meet you here. I wish you all the best in business and in Cyprus! Great advice and wonderful websites. Most thorough review of WA that I have seen. Will take time to get though all the Posts, but I anticipate it will be well worth my time. Hi there, I just came by to say hello and to let you know how thankful I am for our network. Happy Thanksgiving! Give Thanks with a Grateful Heart Praying that everything is going well with you. Thank you for following. I am looking forward to experiencing all that WA has to offer. Hi Hudson, thanks for the follow which I have returned in kind. I hope you have found the success you were looking for when you joined back in 2012. The fact that you still active here is definitely encouraging. Wishing you every success in your endeavors. I really like your positive mindset. Also it is great to see someone with a background such as yours successful in this program as well. Thanks for the motivation. Hi Keith! I had a heck of a time trying to find you here at WA. I was so touched by the video you shared - "Look Up" that I would really like to share this on my Facebook page. Will you please send a friend request to Sharon Grotts on Facebook, then send this video to me so I can share it? Thank You! Oops! I didn't realize you had already replied to me when I sent that last message. Sorry about that! I can't remember for sure, but I think I tried to find where I could share that video to Facebook, but I didn't see where I could do it. This is one video I think EVERYBODY should watch. Wow, 15 different countries! I haven't even stepped a big toe in more than 5. I've got some work to do here at WA since one of my goals is to travel the world and meet people and get exposed to different cultures. Thanks for following. Hi Hudson, I finally succeeded in getting this thank you page to work. Then I received an email this afternoon from the representative, who said he redid the whole thing and it was ready to be copied and pasted. I did that and the same thing came up. I sent him an email telling him I want to discontinue trying to put the system on my website. I signed up as an affiliate so that is what I will do. Just send my customers (if I get any!) right to them to send an ecard. Thank you so much for helping me. I really appreciate it. it comes up, "Well this is embarrassing." What am I doing wrong? I really appreciate your taking the time to help me. Hi there. Usually this message means that the page which you are asking it to show does not have the address which you put in your search. They have changed the message to make it look okay but normally it would say something like Error 404 Page not found. I would go back to them if I were you and ask them to tell you what the new address is for this page. Hope this helps, Hudson. 3 months ago you wrote on my profile page that if I ever needed any help to contact you! So here I am with a question. I am trying to incorporate an ecard system. I copied and pasted the code from their website. It is on my EcardSystem page. On the bottom half are the card images and so forth. On the Information part where the recipient name and email are supposed to be, there is no box for them. I contacted the representative helping me and he suggested I overwrite the code and just copy and paste it again. Although he wasn't sure if that is what I should do. I am wondering if I should Delete the code on that page and copy and paste it again. Do you have an opinion as to what I should do? Hope this helps, let me know how it goes please, hudson. hey thanks for replying about my niche in what way do you mean specific approach as in reviews? Hi, my thoughts were that you would need to develop your own specific approach to the niche, how you position the product. Wherever you can go for a smaller group of people who have a specific need for the bikes rather than a blanket approach to all people, as there will be lots of competition the wider the niche focus is, hope this helps, Hudson. Hi Hudson, I really envy you. My wife and I have spoken of retiring to Cyprus for the past 5 year, but not made the big move so far, maybe one day we will meet for quite drink in Cyprus to reflect on each others success in WA. Bill. Wow, lucky guy ..... World traveler and now the internet!! WA is great and I am glad to meet you. Thanks Hudson, Cyprus must be fun. Thank you so much for your follow. Hi, thank you for the follow, and a happy new year to you too. Hi! Thank you for the follow! "A great attitude does much more than turn on the lights in our worlds; it seems to magically connect us to all sorts of serendipitous opportunities that were somehow absent before the change." Thank you for the follow back Hudson. I can only imagine that living in Cyprus must be amazing. I wish you all the best in 2014!!! Hi Hudson-Thanks for inviting me into your community, Living in Cyprus, that must be like living in heaven, lucky you! Wishing you a prosperous 2014. Hi Hudson, thanks for following me. You must be loving Cyprus, I've seen a bit of it from a British tv show, where they try to find properties overseas for people. It's usually Spain or Greece lol. Hi Hudson, Cyprus sounds like heaven on earth. Thank you for following. Cheers. Hi Hudson and thank you for the follow. So agree with what you said in your profile: "the positive approach, the only real way forward!!" So true. All the best moving forward. Sounds like you have the perfect success attitude! Look forward to seeing your success! Thanks for the follow. Hi Hudson, Thanks for connecting. You're really going to get tired of questions from me asking for help, even stupid ones so watch out (lol). For the 2 weeks that I've been here, my experience at WA has been great too. Nice pic by the way! Hi and thanks for the follow. Pray you're enjoying WA as much as it seems you've done in the past. Hello Hudson. Thanks for following me. I like your first site. Looks great. I hope you are doing well with your internet marketing. 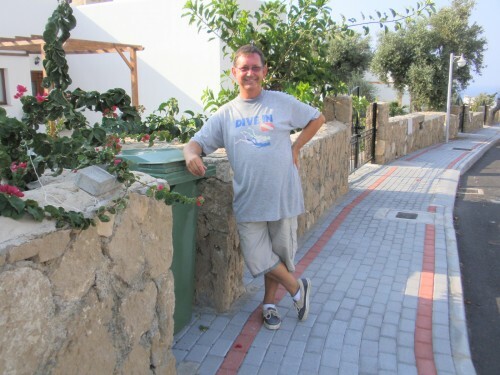 Thanks for the follow, sounds like you have had an interesting life, how wonderful to live in Cyprus. All the best to you. Wonderful positive profile Hudson! Yes, I will be enlisting help from whomever when I need it ... as no doubt I will once I seriously get going!! Anyway, good luck and much success. Look forward to working with you. Hi Mr. Hudson! I visited Cyprus before or was that S. Bay Crete or both--idk! WECOME TO WA! Thank you for the follow and right back at you! Any questions, ask the WA community. Wishing you the very best too! Thanks for the follow Hudson.. I too am new.. Wish u good luck and great success. Hi Hudson , thank you for the follow , I appreciate it. It sounds like you've got some pretty valuable skills , they will come in handy with your new journey here, this will be a slam dunk for you. To your success Hudson. Hello there Hudson, thank you for the follow!! Thank you Hudson for the follow. Hi Hudson, thanks for the follow and welcome to WA. Thanks for the follow Hudson. I took a peak at your websites and I could spend a whole day there! Very nice. Thanks for the follow , Hudson. Hey Hudson thanks for the follow. Looking forward to learning about you and your journey. Hudson...thanks for the follow. Your story looks interesting so I'm following you also. Thanks for the follow, you have been here a while, how is it going for you? I left and came back because I could not find anything that was near as good as this. Thanks for the follow! I see you're enjoying WA! Good luck! You're not a newbie anymore! I'm glad to be here at WA, too! Hey Hudson, thanks for following me back. I can see that you've been a member over than one year ago, really look forward to learn from you. God bless! Hello Hudson -- I checked out your reduce electric bill site -- over here in Hawaii our power rates are astronomical, but solar is getting more popular. On your site I did not see any of the miracle devices reviewed -- I suppose they are all scams? You've been around a long time so going to follow as you may have important facts to pass to us just learning! Thank you for the follow. Are you planning on living in Cyprus for good? Hi there. We are planning to do so. It really is a lovely place. Thanks for the follow. I'd love to hear more about your travels and how you retired five times. Look forward to networking with you. Hi Hudson, thanx for the follow. What an interesting life you are leading! I know with your expertise you're able to help a great many of people. Thank you for including me in the mix:) I'm having a great time being a part of this community. So glad I'm here! Hi Hudson, thanks for the follow. I look forward to hearing more about you and your travels. I will definitely take you up on the help when I need it. Looking forward to growing with the community. Thanks for the follow Hudson. I am looking forward to learning more:-). By the way Cyprus is on my list of places to visit. Thank you for the follow! Looking forward to connecting more with all the great members here! Thank you for the follow Hudson, it is very nice to meet you. I wish you massive success and I look forward to learning more about you and your business. Many thanks for the follow Hudson. wish you the very best! Hi Hudson. I'm a newbie too. Just started 12 days ago. Learning a lot and meeting lots of good people. I'm very impressed with WA and excited to grow my new business. Lots of luck to you and thank you for the follow..
You've been here for a year. So, is there any progress already? Thank you for your follow and i wish you even more success in the future. Thank you for the follow Hudson. I wish you even more success in the future. Hello, Hudson, thanks for following me. Being positive is the way to go. To your success. Hi Hudson, thanks for following me, you seem to be doing really well here at WA. I am so pleased I found it, that was a good day. Thank you. I'll keep at it. It's still a very fledgling site. Thank you for following me. I'm glad to have you. I read your blog and it's a good tip. I'm still at the point of really creating my site as it should be. I had just realized it was "lacking" and the next morning I found the new level 2 lessons so I need to do them. Have you seen my site? Hello Hudson. Thank you for including me in your network. I wish you all the best in achieving your goals. Hello Hudson. Thanks for following back. Its an honor to network with someone with your experience. Cheers. Hi Hudson and thanks for the follow. Must be nice to have traveled and explored all the different countries. Some people will have to see them through your eyes. Lol! Best wishes on your continued road to success here at WA and in life. Cheers! Thanks for the follow and I think I've looked at your site previously because of a blog you did. You have been here far longer than I but we should chat sometime. Hi Hudson thanks I appreciate you reaching out and will take you up on your offer should I need to at any point. So far I'm following the bootcamp training and loving every minute of it. Have a great day. Do you know how much I would welcome your help! Your life is what I want to give to my family. I have raised my 3 children (20- 33) two generations. Their father passed in 2000. Been tough, but I managed without government help. I work! My husband now as of 2009) has celiac disease. He broke his collar bone last July 2012. His bones are like chalk. We are still waiting for him to get healthy enough for a possible surgery. Sorry to spill my problems, but this is why I am determined to make this work. Wow you live a fantastic life great toi hear of your successes. I am certain you will provide a wealth of info here for WA members. Thank you for the follow. Hi Hudson! Thanks for following me. I took a peek at your reduce electric bill site (as that is something I desperately need lol) and I loved it! Useful and informative! I wish you continued success sir! hello and thank you so much for taking the time to look at my site and also for the site for pictures, you were a great help! Thanks again! Same to you. Great to meet you. Thanks for the follow! I appreciate it :) I wish I could live all over the world one day! Thanks Hudson for the Follow. 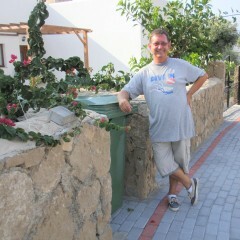 How is the weather on Cyprus, it must be nice and warm.Cheers Eric. Hi Hudson, thanks for the follow. Impressive bio. Enjoy your WA experience, all the best. Hi! good to meet you in WA. Thanks for the follow, and I follow you :-). The best! Hi Hudson, my name is Jeff. Thank you for the follow and I look forward to connecting with you here at Wealthy Affiliate. Much success to you! Hello Hudson, thanks for the follow -- I'm honored to be a part of your network. I enjoyed reading your blog here, and look forward to hearing from you and following your work! Hi Hudson, thanks for the follow. After reading your bio, I see I should take advantage of the opportunity to pick your brain for wisdom on being successful enough to retire early! Most only inmagine the chance to retire more than once :) Either way, I look forward to following your progress here at WA. Hi Hudson, thanks for following! Cheers for the follow Hudson. Coming right back at ya..:) All the best. Hudson welcome to WA. Nice profile background. You should do well here it WA. If you get stuck on anything there's a lot of help to be had just ask. Were all in this together. Hey There, Thanks for the follow. Welcome to W.A you are at the right place make sure you follow all the training programs. Because this is what will make u successful online. Wish you all the best. Hi Hudson, thanks for the follow! I am pleased to be in your Network here in WA. Hey hudson, it's my delight to meet a 5 times retired man. It must be awesome, and I'm glad to be a pat of a community you belong to. Thanks for the follow. Certainly I must find time to visit your websites. Who knows, I might find your secret.. Laughs! Hi, Hudson. It's been awhile since you joined WA. How is it going? I believe I can learn a lot of new things from you here. More blessings to you! Hi Hudson thanks for the follow ! Hi Hudson, thanks very much for the follow! Best wishes and much success to you on this journey! Hey Hudson, thanks for the follow! Hey Hudson, thanks for the follow. Hope your biz is doing well. Hi Hudson. Thanks for the follow and if I can be of assistance to you I'm happy to oblige. Cheers, Phil. Hi Hudson: Thanks for the follow. Pleased to meet you. Hi Hudson, Thanks for the follow! Hi Hudson, Thank you very much for the follow! Hi! Thanks so much for the follow! Hi Kymee, thank you so much for your kind words, they are really appreciated. We are well thank you. It has been one of those very busy periods where I have really only been able to keep up the blogging on my WA web site. At the same time I wasn't receiving any WA emails for about three weeks -we found them in the end. Hoping to get back to normal ASAP. Thanks for the follow Hudson...looking forward to the journey! Hi Hudson,I am new here too. Looks like you have every thing under control. Hi Hudson, sounds like you've had an interesting life. I trust you are enjoying sunny Cyprus. Hello Hudson, I just followed you. You have an interesting profile page. 15 countries? For real? How cool is that! You seem to have had a exciting life traveling and visiting many countries. I am a newbie, just one week, finding WA very exciting and looking forward to learning all I can. Good Day and thank you for following. Though you probably have more experience, I would also be happy to help. Hi Hudson, thank you for adding me. Wow, I was born in Cyprus, I'll have to get back over there one day. I was only about 3 years old when my parents moved back to England. Good luck with everything WA and in business too. Hi Hudson. Nice to make your acquaintance. Hi Hudson! Thanks for the follow, it's my pleasure to follow you. I'm a newbie myself, I've been around for only two months. I'll be in touch later on! Hey Hudson, thanks for the follow!! Not a bad rank there Mr. Hudson. I guess that means you know a thing or two about this affiliate stuff! Hi Hudson. Thanks for the follow. Thanks for the follow Hudson. Nice that you are following me. Thank you. Thanks for the follow Hudson. Maybe the fifth time will be a charm. Thx for the follow Hudson. I am at baby steps level. Looking forward to great learning from WA. Hey there Hudson! Thank you so much for following me and I did return the favor! I hope you have nothing but success here! Have a great and profitable day, my friend! Nice to hear from you. I'm a firm believer in the positive approach also. Hi Hudson. Thanks for the follow! I checked out your sites and they are clean with lots of white space. Looking good. Are you getting conversions yet? @Hudson Sounds like you are on the right path. I look forward to hearing more about your progress. Why bother backing up my files? Beg, Borrow or Steal It ! !